Looks like California’s law students need to hit the books. According to an article posted by Cheryl Miller on The Recorder, a mere 27.3% of would-be lawyers passed California’s bar exam in February. Based on records dating back to 1951, this is the all-time lowest pass rate according to test data released this month. 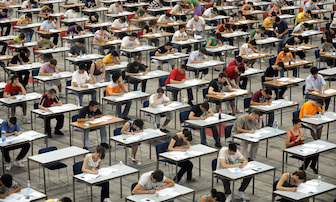 The low scores reflect a national trend for the winter sitting of the exam. The average score on February’s multi-state bar exam fell 1.3 points from 2017’s scores to 132.8. This makes it the lowest average score in over a decade, and marks the fourth year in a row the month’s average score declined. First-time test-takers of the February 2018 exam continued to do better than repeat test-takers with a 39% pass rate. Graduates of American Bar Association-approved law schools from California performed the best of any group, with 46% passing.